Something practical to elegantly hang on. On the surface this is flirting through design – with the past and with everlasting icons. But—under its polished surface this is the result of much sober consideration of user experience on everyday travels through life. The circle was chosen as a perfect form to begin with. With well-considered cuts of bent solid wooden ring bars and hidden attachment points the central metal tube was transformed. 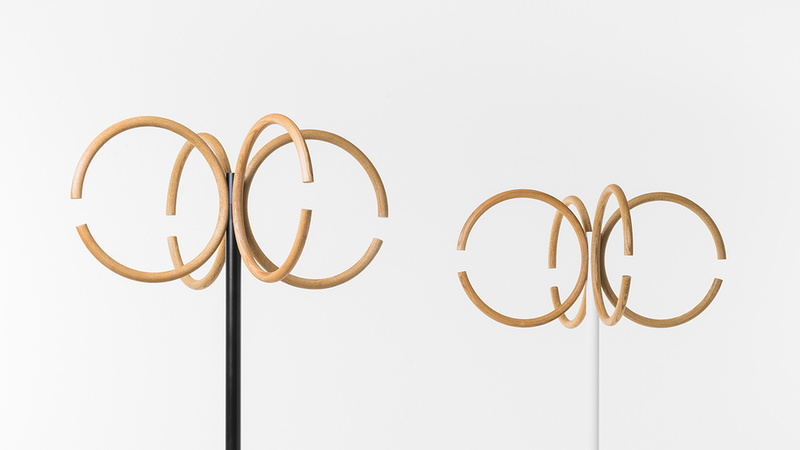 The result is an elegantly functional hanger. Stable and capable of hosting parties of scarfs, bags and, of course... coats. Each and every one of them can be hung differently, spontaneously, effortlessly.